Ideacentre 300-20ISH is a Mini Tower DT PC, which offers a mainstream peorformance for your daily computing Mainstream Performance. Premium performance, powerful possibilities. With stunning visuals and performance, the processor of Levovo 300 delivers power that takes your computing to the next level so that you can work smarter. Browse the web, check e-mail, manage media, and stay productive easily. You can also rely on the Ideacentre 300s to be the main connectivity / entertainment hub for the whole family. It's a small but powerful way to get streaming audio and video to every device in the house. 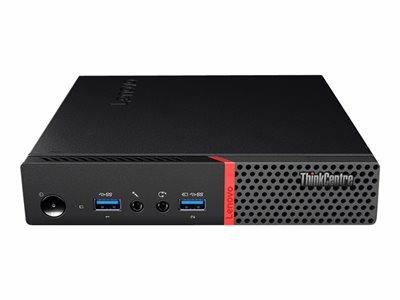 ThinkCenter M700 Tiny is an ultrasmall form factor. Tiny desktops fit just about anywhere, while still delivering reliable, enterprise-level performance. Maximize productivity with independent display support for up to three monitors. The expanded work area and easier navigation between applications help reduce errors and improve productivity as you extend your desktop across multiple monitors. Move data between the M700 SFF and other devices quickly with USB 3.0 - it's up to 10 times faster than previous USB technologies, and is backward-compatible. ThinkCentre PCs are designed with best-in-class dust resistance and thermal management; yet still, Lenovo engineers wanted to do even more for Lenovo next generation desktops. They added the option for ThinkCentre Dust Shield, filters that reduce internal dust and dirt filtration by up to 57% - this feature further improves reliability without impacting thermals or acoustics. Plus, the filters are easily removable and washable for long-term use. Extend the life of your ThinkCentre M700.